Truly one of the world’s great scenic train trips through the dramatic contrast of dry beech forests and tussock land on one side of the Alps and lush green landscapes on the other. From Christchurch, cross the patchwork farmland of the Canterbury plains, follow the Waimakariri river, climbing into alpine scenery on a series of spectacular viaducts. Then, after stopping at Arthur’s Pass, emerge from the long Otira Tunnel and descend through sub tropical rain forest past beautiful Lake Brunner and on to Greymouth. 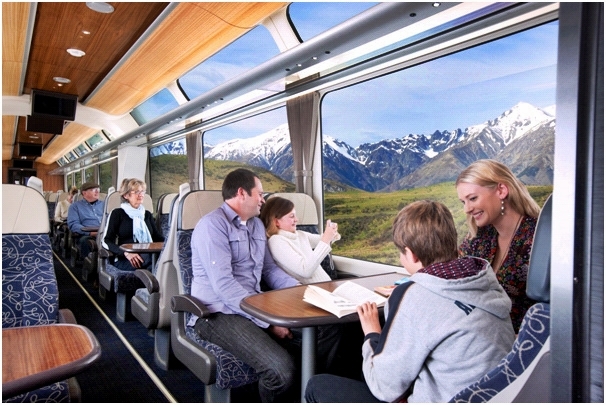 The TranzAlpine operates daily excluding Christmas Day.